Now this book is historical fiction and not my sort of history which means it took me a while to get into it. I teach history and sometimes I can be a bit odd with it either loving it entirely or being put off instantly because it isn't really the sort of history I'm into. I must admit I was very aware of that as I started this book and made myself stick with it to start with and by the time I had got a little way in I was hooked. 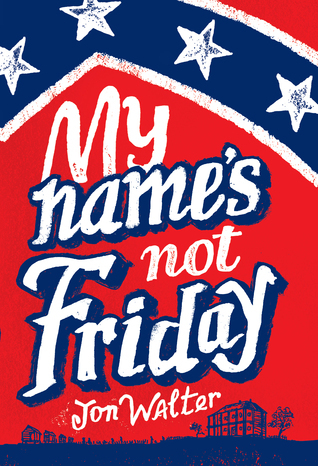 My Name's not Friday is a fascinating story about slavery in America. It made me feel for the main character and the injustices he faces as the story unfolds. The life he ends up being forced to live purely because of the colour of his skin makes you want to weep for him and you see the real unfairness of it all.